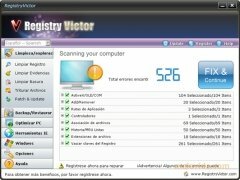 If you want to improve the stability, performance and speed of your computer, but you don't want to use five different applications to do so, the solution is called Registry Victor. 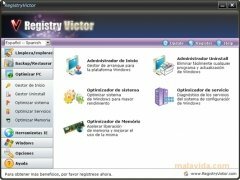 This program will optimize our computer's performance by means of a series of processes. 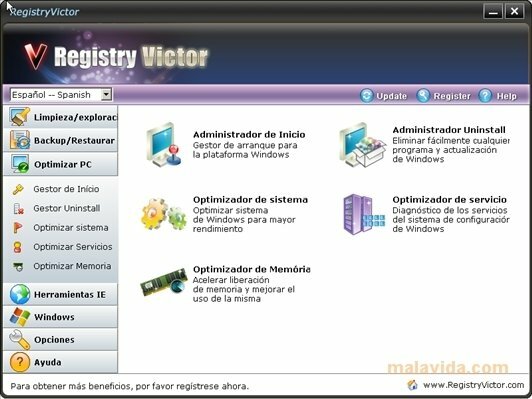 The program will clean the registry, delete the tracks that we have left after browsing over the web, eliminate outdated files, efficiently uninstall programs and change the properties of Internet Explorer to improve our browsing experience. 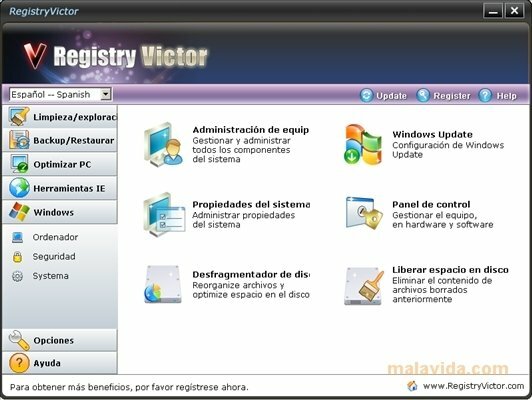 It will also allow us to manage the system properties, defragment the hard drive and configure the Windows automatic update system. 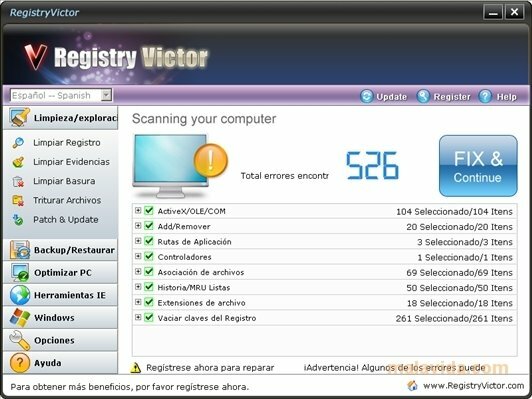 All operations will be accessible from the same interface, so it will be very simple, and any user will be able to have his/her computer in perfect shape with a couple of clicks of the mouse, avoiding complex configurations. 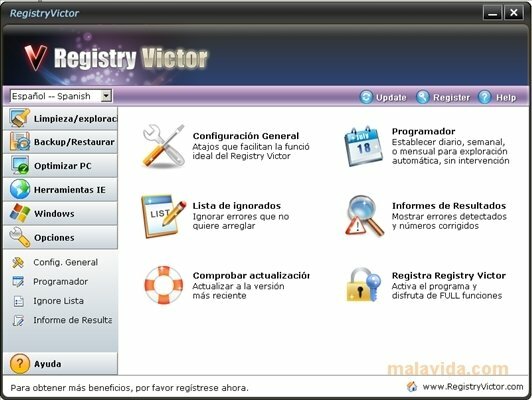 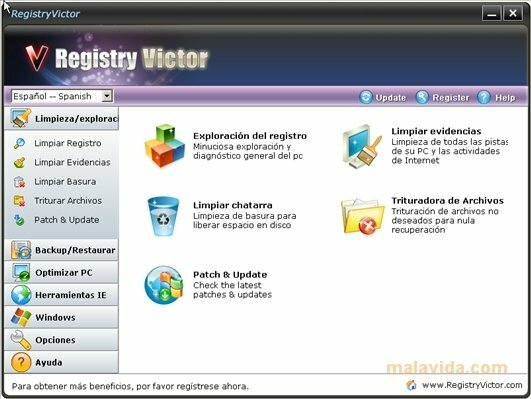 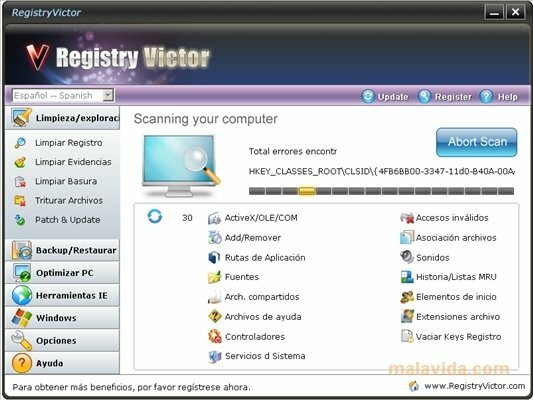 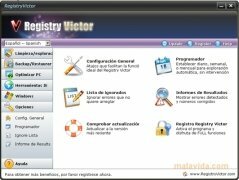 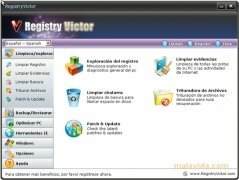 If you want your computer to work like the very first day, download Registry Victor and enjoy your PC's full power once again.